From Jhb: Take the N3 highway to Durban. At the Mooi River main toll take the very left off ramp. Go up to the stop street then turn right across the highway to another stop sign. Turn left on to the R103 to Rosetta/Nothingham Road for 12 kms until you get to Rosetta. Turn left after the Rosetta Hotel entrance, the Ugly Duckling will then be on the right. Up to the Clifton Stud sign and then follow signs for 2,5 kms to Clifton Stud. From Durban: Take the N3 highway to Jhb. Aproximately 50 kms after Pietermaritzburg turn left at the Nottingham Road off ramp and up to the stop sign. Turn right to Nottingham Road for 8 kms. 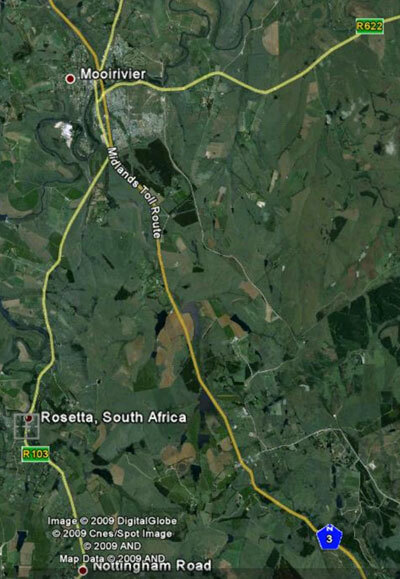 Then turn right at signs Mooi River/Rosetta on the R103 for 6 kms. Look for Rosetta sign on left then glide off to the right after 50 meters at Clifton Stud sign. 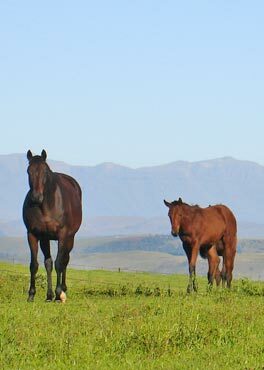 Follow signs for 2,5 kms to Clifton Stud.